Here's an idea for gifts to the wedding attendants. 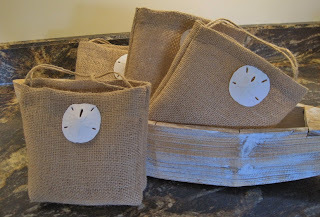 These are versatile little bags made of tan burlap. They have reinforced side seams and a boxed bottom with a jute handle. I've attached a sand dollar but I've also made them with a driftwood beach button. Too cute, if I must say so myself! 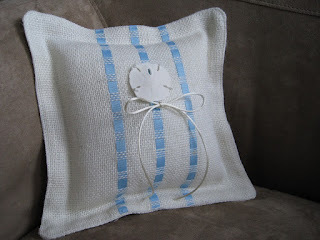 Here's another pillow, a bit dressier than the burlap. This was a custom order. 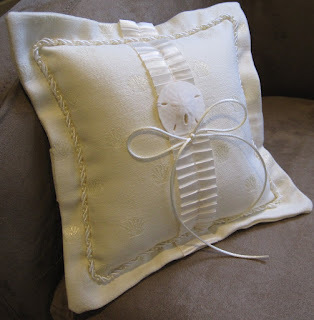 The person I made these pillow covers for needed the fabric to be washable and did not want the appliques ironed on due to the chemical. Highly allergic was the reason for the special request. 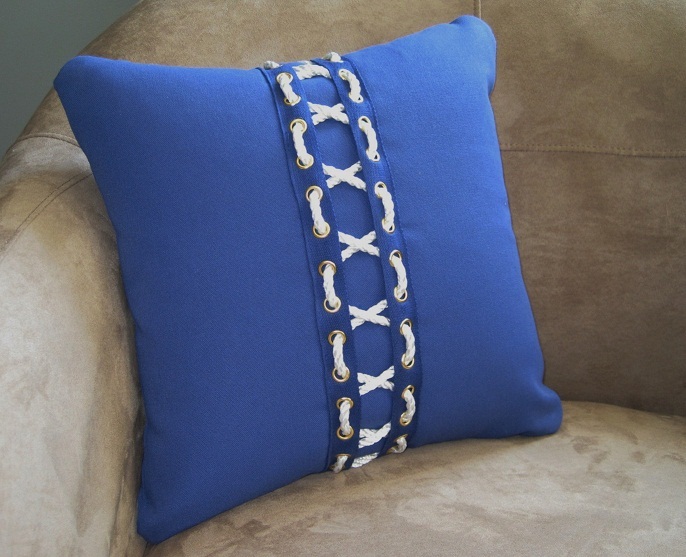 These are classically nautical with boxed corners, blue and white ticking embellished with a nautical applique. I'm really pleased how they turned out and enjoyed making them. This is still one of my favorite fabric combinations. 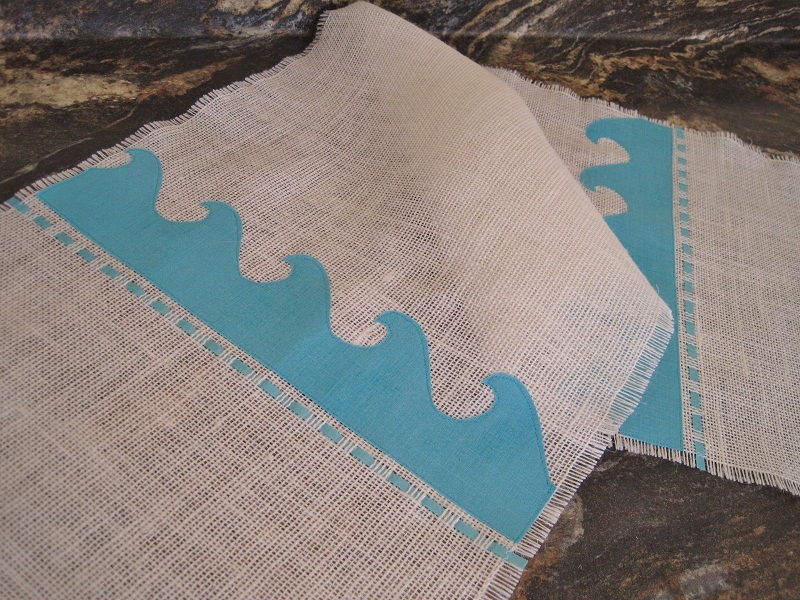 These beach cottage pillow covers are created in Robert Allen Indoor/Outdoor Beachfront Marine and Seashell Bongo Marine fabric. The pillow back is the same fabric with a covered zipper closure. This pillow cover fits an 18" square pillow form. Fabric is 100% Poly. Robert Allen care information: Wipe with damp cloth. Fade resistant up to 500 hours of direct sun exposure. 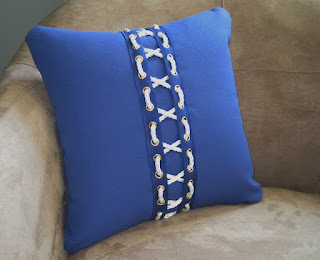 Looks great with other coordinating pillows.